Matthew Keys, right, walks to the federal courthouse for his arraignment with his attorney Jason Leiderman, in Sacramento, Calif. Keys, a well-known social media journalist is set for sentencing Wednesday, April 13, 2016, after he was convicted of conspiring with the hacking group Anonymous to break into the Los Angeles Times' website and alter a story. Federal prosecutors in Sacramento say that despite his news media role, Keys was simply a disgruntled employee striking back at his former employer. SACRAMENTO, CALIF. (ASSOCIATED PRESS) — A well-known social media journalist was sentenced to two years in federal prison Wednesday after he was convicted of conspiring with the hacking group Anonymous to break into the Los Angeles Times' website and alter a story. Despite his role in the news media, federal prosecutors in Sacramento say Matthew Keys, 29, of Vacaville was simply a disgruntled employee striking back at his former employer. U.S. District Judge Kimberly Mueller sentenced him Wednesday after he was convicted in October of providing login credentials to The Tribune Co.'s computer system. His attorneys said they plan to appeal. The company owns the Los Angeles Times, Chicago Tribune, Baltimore Sun and other media companies including FOX affiliate KTXL-TV in Sacramento. Keys worked at the television station until he was fired two months before the December 2010 hacking. He was convicted in October of providing the login information that a hacker used to gain access to the Times' computer system and change the story. Prosecutors say Keys posted the information in an Internet chat room, urged hackers to attack his former employer and praised the outcome. 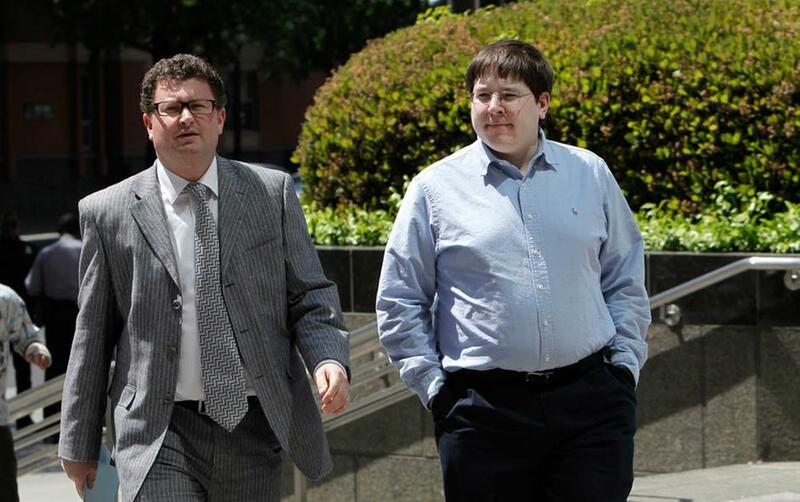 When charges were filed in 2013, he was fired from his then-employer, the Reuters news agency. Defense attorney Jay Leiderman argued for probation and will ask that Keys be allowed to remain free on bail while he appeals to the 9th U.S. Circuit Court of Appeals. Mueller ordered Keys to begin serving his sentence June 15. The judge settled on a two-year term after an hours-long hearing, though Leiderman said the presumptive sentence was more than seven years. Prosecutors previously said that as a first-time offender, Keys would face less than the maximum penalty of up to 10 years in federal prison. The appeal will center on whether the Times suffered any significant damage, Leiderman said. His attorneys argued the hacking was a relatively harmless prank. Restoring the story's original headline, byline and first paragraphs took less than an hour and cost less than the $5,000 required to make the violation a felony, they argued unsuccessfully. "They clicked the button and it reverted to the previous story. Is that damage, is that loss?" Leiderman asked. Prosecutors said employees spent 333 hours responding to the hack at a cost of nearly $18,000. "Although he did no lasting damage, Keys did interfere with the business of news organizations, and caused the Tribune Company to spend thousands of dollars protecting its servers," U.S. Attorney Benjamin Wagner said in a statement. "Those who use the Internet to carry out personal vendettas against former employers should know that there are consequences for such conduct."